INDIANAPOLIS, IND. (September 5, 2017) Klipsch®, a tech-driven audio company and wholly-owned subsidiary of VOXX International Corporation (NADAQ: VOXX), today announces the addition of more than 50 new high-performance custom speaker solutions for residential and commercial applications that feature revolutionary new installation technologies, designed to save integrators time and money. 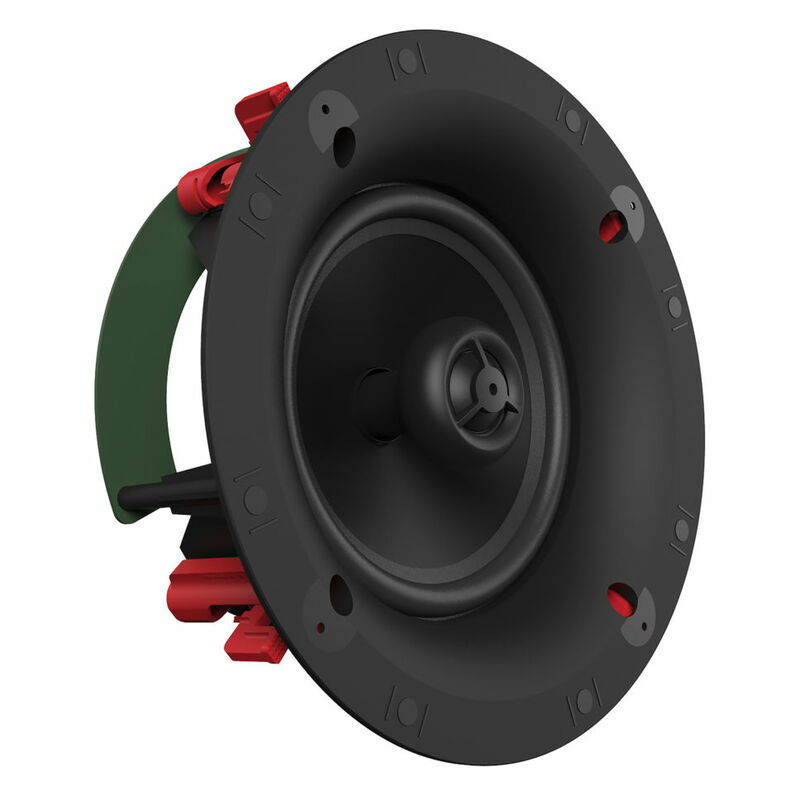 “We have been working diligently on a robust line up of speaker solutions that save integrators time and money, and provide their customers with the best sound experience at virtually any price point,” said Rob Standley, vice president and general manager, professional and component speaker solutions at Klipsch Group. Four new series of architectural speakers offer high-performance audio at various price points and are exclusive to integrators. The Klipsch Professional Reference Premiere Architectural speakers and Professional Reference combines the aesthetics of an architectural speaker with the same award-winning horn-loaded acoustics and core components of their home theater component speaker counterparts. The series uses a new proprietary SecureFit™ two-piece modular installation system creates a more robust, stable acoustic platform for the speakers. It enables a quick and easy one-person installation solution and is designed to reduce baffle vibration by up to 40 percent. Two Professional series subwoofers offer additional solutions to the existing subwoofer lineup including a hidden bandpass model for ceiling or floor use and a full stud bay 12” model for maximum theater performance in the wall. The Klipsch Designer and Custom Architectural speakers are high-quality and value lines that are equipped with Sky Hook™ by Swarm technology for a tool-free installation in less than one minute. Exclusively licensed to Klipsch, patent-pending Sky Hook technology, a tool-free, fully automatic, self-adjusting installation system is designed to simplify and reduce installation times by up to 75%. Simply cut a hole, attach wires, press the speaker into the hole, while Sky Hook adapts to the surface thickness with a preset clamping force that virtually eliminates the possibility of breaking the dog leg or cracking drywall. Removals are also fast and easy with a quarter turn of a screwdriver. Klipsch will also showcase its weather resistant outdoor speaker solutions that are easy to install without tools, and can be tailored to any residential or commercial outdoor living environment. Klipsch Professional Series Landscape speakers are the only horn-loaded outdoor satellite and rock speaker solutions on the market. These all-weather, durable, low-distortion, high-efficiency systems deliver dynamic, powerful detailed sound. The speakers emit an ultra-wide 105° dispersion for powerful, balanced sound, while the landscape and rock subwoofers produce low frequency extension and output. Klipsch KDA Amplifiers compliment any speaker system by offering optimum efficiency and performance in a sleek, high-tech, one-rack solution for any type of installation. The KDA Amplifiers are among the most flexible on the market with 70v and low impedance capability, fully configurable DSP menus and I/O routing as well as 2/3/4 channel configurations. Additionally, Klipsch is developing a new online experience specifically for integrators that focuses on its robust line of custom installation speakers and accessories. Klipsch.com/Custom-Install features the latest architectural product offerings, installation tips, detailed product information, and a free system design service with a 48-hour turnaround time. The website will be available on September 7th. Visit Klipsch at CEDIA 2017 in booth 4812 and sound room SR15 for new speaker and installation demonstrations. New product details are available at Klipsch.com/CEDIA.